Volvo has announced that it will be unveiling the most luxurious vehicle it has ever built at the Shanghai Auto Show. 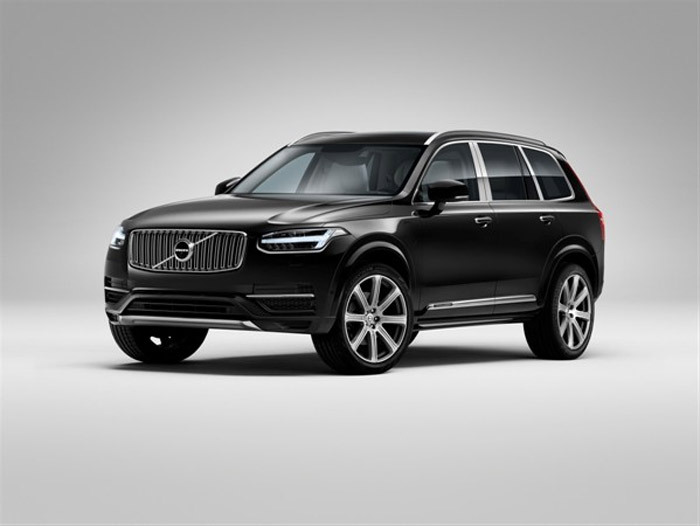 The new car is the XC90 Excellence and other than being based on the new XC90 SUV, the two cars have few similarities. Whereas the normal XC90 seats seven people, the XC90 Excellence seats only four. It’s only the two back seat passengers that really matter with this SUV made to be driven in rather than drive. The rear seat area has two seats and lots of luxury features that make this SUV like an apartment on wheels. The two seats offer massaging, reclining, ventilation, and lots of legroom. Each of the seats has its own retractable touchscreen controller. The back seat area also has folding tables, a refrigerator with bottle and glass holders, cup holders that heat and cool, and handmade crystal glasses. Passengers in the rear seats also get footrests, ambient lighting, illuminated storage, and leather detailing in charcoal or blonde. There is also a luggage compartment dividing screen and extra sound insulation. Volvo also fits the SUV with a 19-speaker Bowers & Wilkins sound system. The XC90 Excellence will be offered globally with availability later this year.